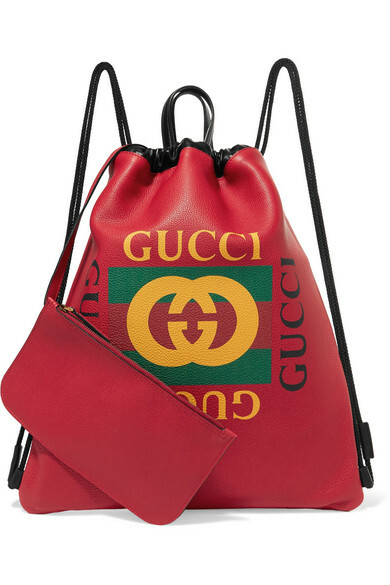 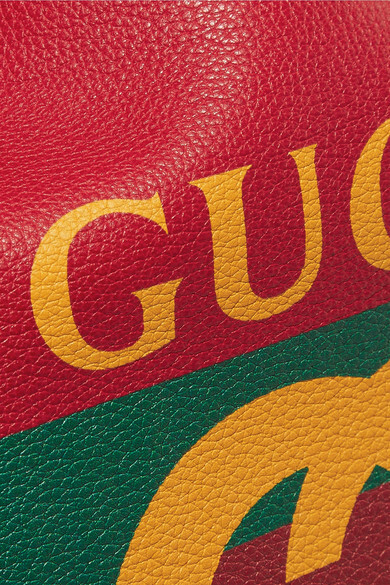 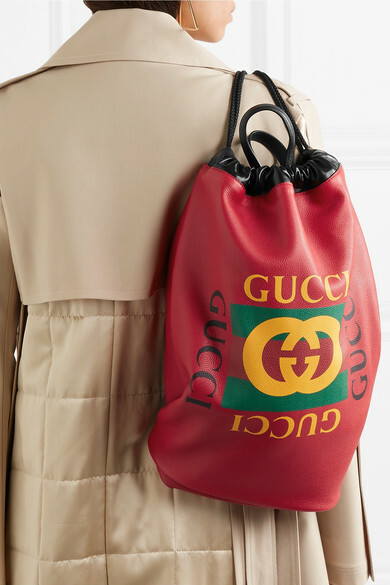 Gucci's backpack is printed with the house's '80s logo in green, yellow and black. 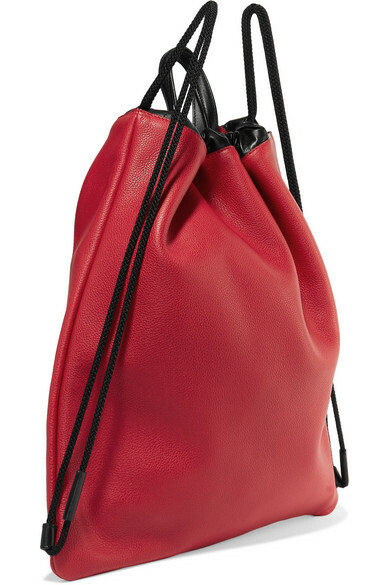 This drawstring design has been made in Italy from red textured-leather and has top handles so you can also carry it as a tote. 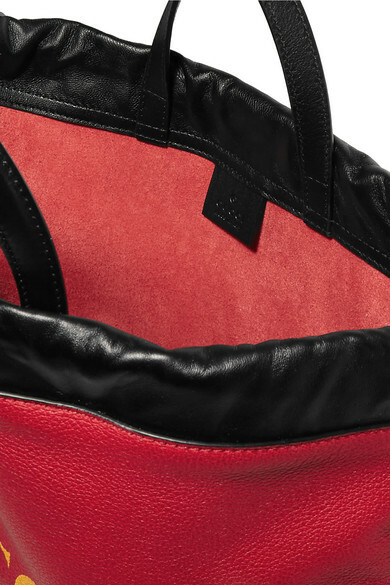 It will fit a small laptop, diary and cosmetics case, as well as other essentials. 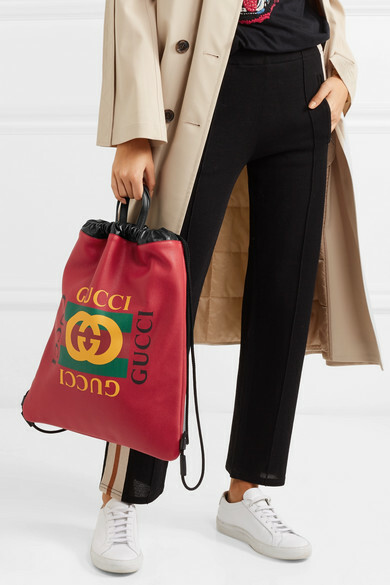 Shown here with: Adeam Coat, Isabel Marant Étoile Track pants, Gucci T-shirt, Jennifer Fisher Earrings.